Our 2019 March Mayhem winner is @HELLHOUND_K087! 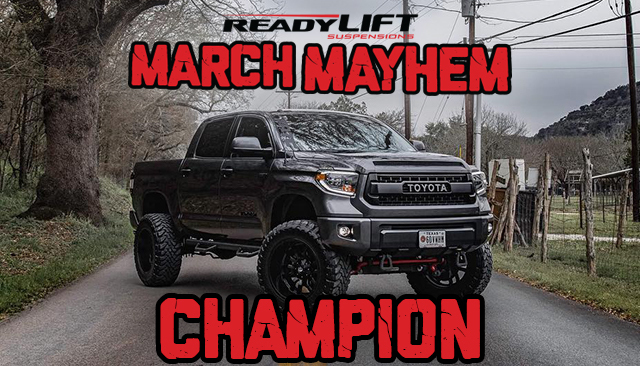 The Tundra from Hell dominated this year’s March Mayhem! 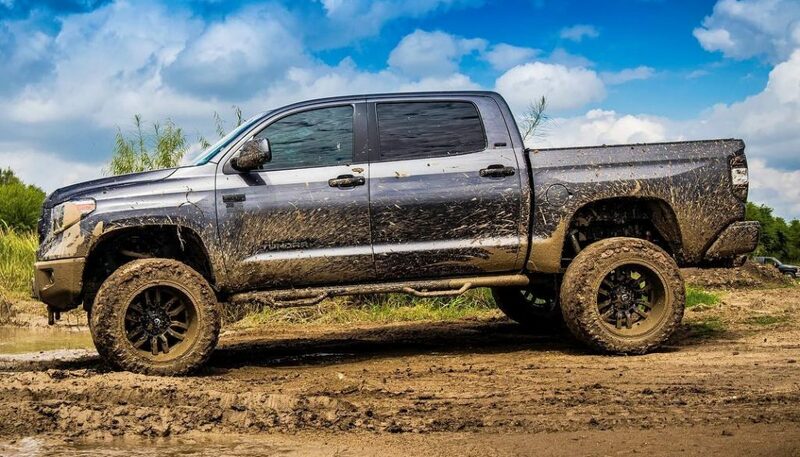 Chad Perraut built his “show truck on a budget” and was able to show all types of trucks that Toyota can rule! We want to thank everyone that participated in March Mayhem. This year’s March Mayhem was a blast! From blowout wins to extremely close victories, every matchup brought excitement. Reminding us why we love March Mayhem! 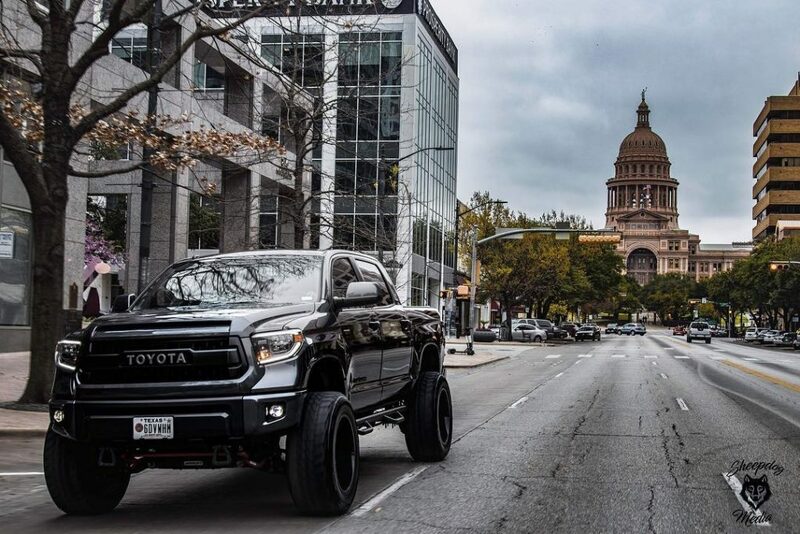 This truck embodies Texas tough. Built on our 8″ Complete Lift Kit, this truck rides high with 22″ Fuel Sledge wheels and 37″ Toyo M/T tires. Combined with AMI Styling Demon hooks this truck looks as good on a showroom floor as it does when it’s covered in mud. It wouldn’t be a winning truck without some great photography. 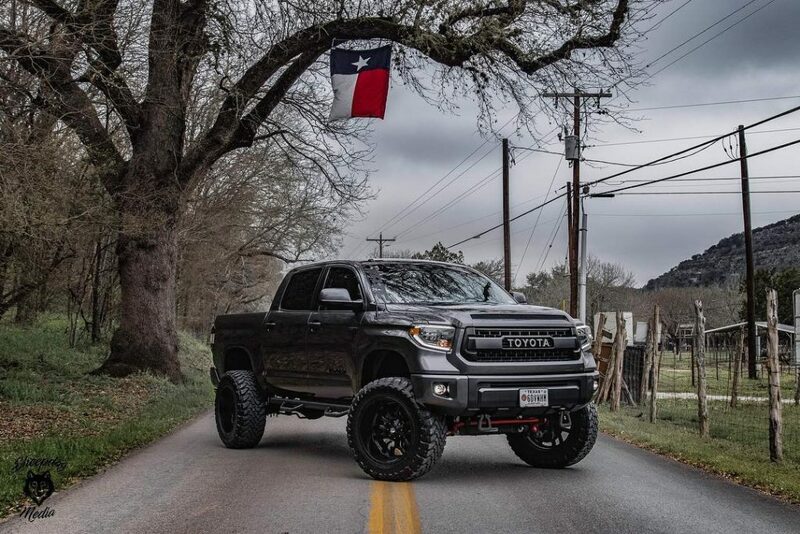 @sheepdog.media is a great source of amazing content for both @hellhound_k087 and her ow Tundra looks amazing as well. 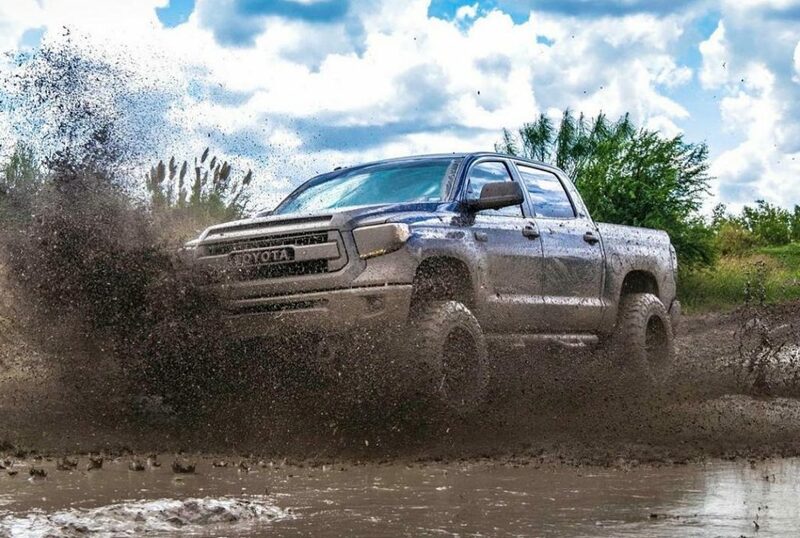 Both pages are a great follow for any Toyota Tundra fans!